- Soonly Susy body began to swell up, After this she have problems in breathing and gasped for breath, She was admitted in the ICU of Obeid Hospital in Riyadh on March 19 after she went into a anaphylactic shock. - There was no visible bite mark, She had a history of asthma, we gave her medical help to improve her Blood Pressure, she was on ventilator support said hospital official. 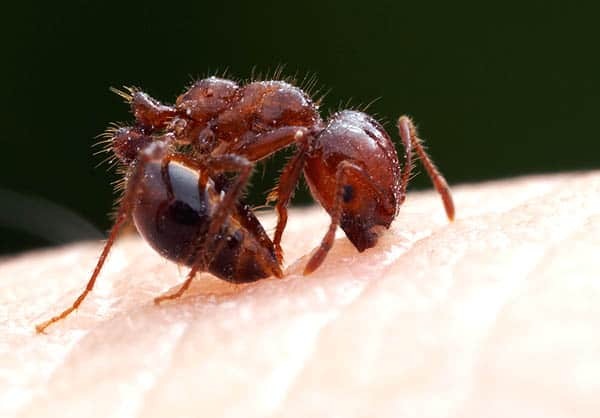 - Its still not clear that what kind of ant bit Susy and the details of her medical treatment are yet to be known, Sources say that some poisonous ants including red ants could prove fatal to those who are allergic. - The report said the tiny insects chewed on her windpipe, resulting in severe swelling that closed her airway.